Were you injured as a result of the careless, criminal, or reckless actions of another individual? If so, it is vitally important that you retain the immediate representation of Paulsen Law Group. We have extensive experience defending the rights of the injured and know exactly how to successfully resolve your case. Our legal team will utilize a comprehensive approach in order to gather and secure the necessary evidence in order to build an effective personal injury claim on your behalf. We work closely with a wide range of experts in order to strengthen each aspect of your case and maximize your monetary recovery. From accident reconstruction experts and life care planners to vocational consultants and economists – we will consult with these specialists in order secure a favorable outcome. to Help You. Call Today to Schedule a Free, No-Obligation Consultation. 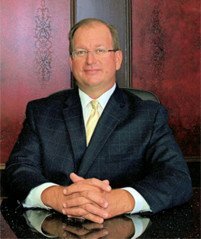 With nearly 15 years of legal experience, you can be confident in Attorney David F. Paulsen’s ability to handle your unique personal injury case. After receiving his Bachelor of Arts degree from the University of South Florida, he attended Western New England University School of Law in Massachusetts. Here he was selected as a member of the National Moot Court team. This university afforded him the opportunity to compete before the Supreme Court for the State of Rhode Island. If you or someone you know has been wrongfully injured, contact Paulsen Law Group immediately. We will tirelessly pursue justice on your behalf and fight to maximize your monetary compensation. We are committed to obtaining successful results and will proudly serve as your strong voice for justice. Our legal professionals understand that after being involved in an unexpected and injury-causing accident, it is not likely that involving the legal system is high on your priority list. However, you may be eligible to receive compensation for your injuries and losses. As such, it would be in your best interests to secure our supportive assistance today. While you focus on your physical and emotional recovery, we will focus on maximizing your compensation. Make the smart choice – contact our Dunedin personal injury attorneys.